Stylized eagles woven into Celtic knotwork. 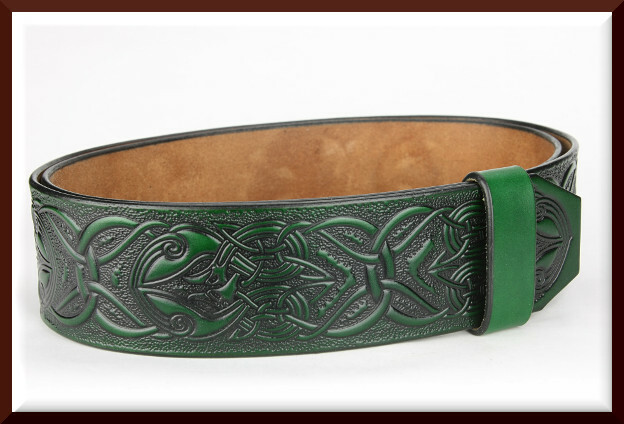 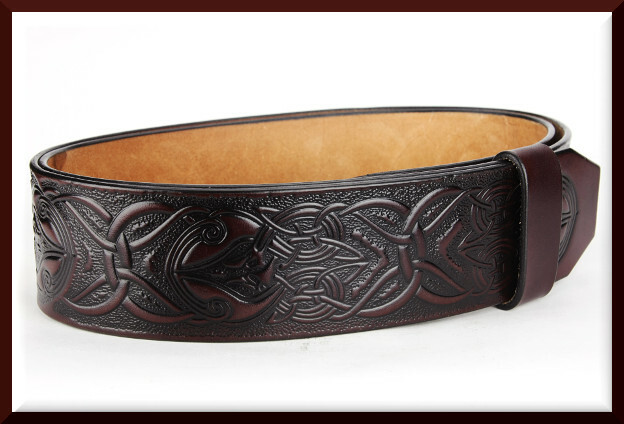 Our 2 1/2" Eagles Cinch/Kilt belt is crafted of the finest vegetable tanned leather, wet embossed, hand-dyed and hi-lited. 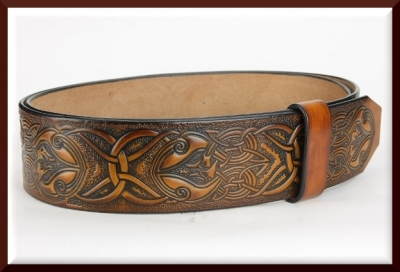 All our edges are highly burnished to a smooth, hard finish to prevent fraying. 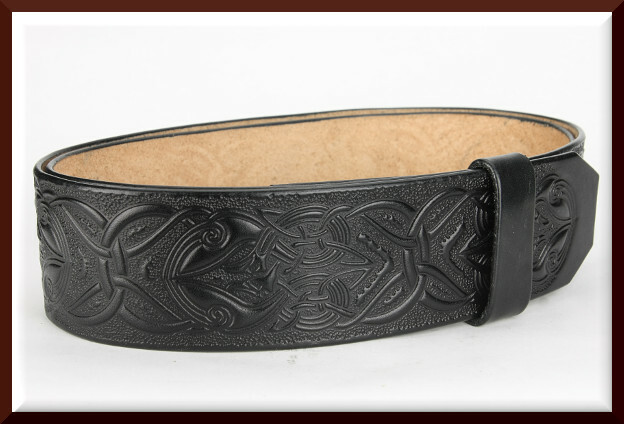 Choose either solid brass or stainless steel buckle, snaps on the turn so you can change buckles any time you like. 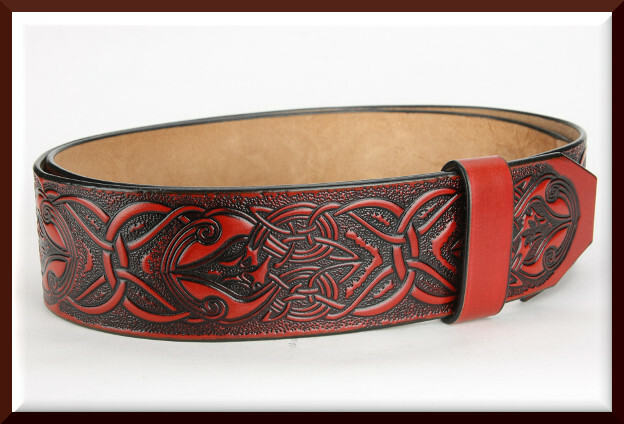 Your choice of 5 colors.